sometimes, people say that mary magdalene was the spouse of JESUS (such as the case of "the da vinci code" etc), but their claims are hoax. they refer to the heretic books of gnosis, like "gospel of thomas" and "gospel of phillip" to support their story, however, we must know that the authorized gospels (matthew, mark, luke and john) were all written around 50-100A.D., but the gnostic gospels were consisted around 3-5 centuries, much later time of JESUS. it has been said that the "gospel of phillip" clarifies that JESUS' wife was magdalene, but even the gnostic book does not clearly say so. 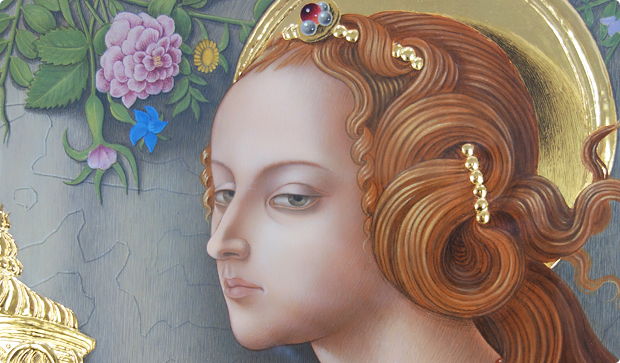 magdalene is described as "the companion of the LORD". the original greek terminology is "koinonos" which indicated various range of intimacy, from the intimate accompany to the business partner. the same word is used in the bible, too (mat 23:30, luke 5:10 etc. ), but these do not show the sexual relationship. furthermore, gnosis disdains the physical body, the word in "gospel of phillip" should be read as the spiritual relationship. in another part of the gnostic book, JESUS kissed mary magdalene and people say this is the sign of the wedded pairs. however, in other gnostic bible, "apocalypse of james", JESUS kissed james, too, when the resurrected CHIRST delivers the "hidden knowledge" to james. the kissing is very symbolic to the gnosis and it expresses the one who is kissed is in the special position and he/she receives the "hidden knowledge". the gnostic followers regard mary magdalen is superior to the apostles, so the kissing should be the sign that clarifies she is the ultimate apostle of JESUS, not the physical spouse of the LORD. as mentioned earlier, the gnostic sect hates the body (and the physical substances) as "evil", for the world was created by the inferior god, not by the true GOD. they teach that we must get out of the physical world by the hidden knowledge. so, the claim that the JESUS and magdalene's relationship was physical contradicts the belief of the gnosis. from the gnostic viewpoint, their relationship can be only read as spiritual. do we really know that the "new testament" is the eucharist, not the bible? the first gospel was written in the late 1st century. until then, there had not been any written documents for the christians. people started gathering the books from the 2nd century, and what we call now "the new testament" bible was completed in the 4th century. the bible itself is not the new testament and it was initially called “books of the new testament”. then, what were the christians doing without the bible? well, the eucharist itself is the new testament, so there was no need for them to depend on the written documents for remembering and celebrating the new testament. the bible itself was edited so that people of later time could prepare the eucharist accordingly. our LORD never commanded to write down anything, but to do what HE taught. furthermore, JESUS only mentiones the “new testament” once. 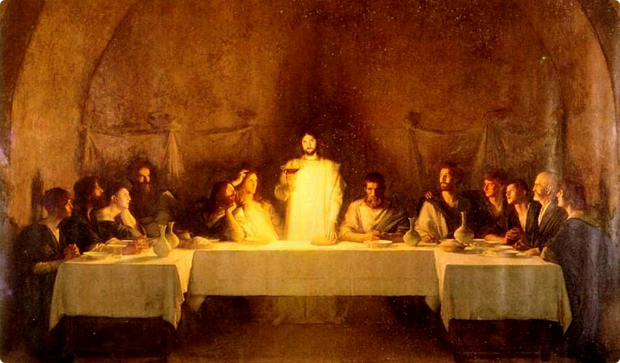 it is when he establishes the eucharist during the last supper (luke 22:20). also, st. paul clarifies that the new testament is the blood of CHRIST (1 cor.11:25). the new testament completes the old, and the passover of the old testament is completed by the passover of the new testament. there was the special liturgy for celebrating the passover meal. on holy thursday, when JESUS and HIS apostles gathered at tabernacle to celebrate the passover meal together, our LORD set up the eucharist (luke 22:19-20). HE added something new to the old liturgy. the apostles might not know at that time what HE did and what HE meant with it. the crucifixion was carried out outside the wall of jerusalem. in the jewish community, the sacrifice must be offered on the alter in the temple. so, if there were not the eucharistic event on holy thursday, the crucifixion was merely the roman execution. but, JESUS freely offered HIMSELF as the sacrifice of love through the eucharist, the crucifixion became the supreme sacrifice. the blood of lambs which had been offered for the atonement of mankind during the old testament time, the blood of CHRIST, the lamb of GOD, completed the salvation once and for all. 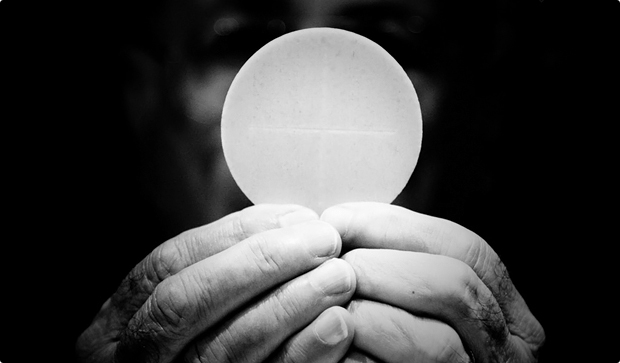 so, if we are not the eucharistic chrsitians, we are not the christians of the new testament!